Police say they found 52 pounds of marijuana in East Hartford. East Haven police say they made quite the marijuana bust in East Hartford. The investigation began with a tip about a “large scale” marijuana sales operations on Colby Drive in East Hartford. 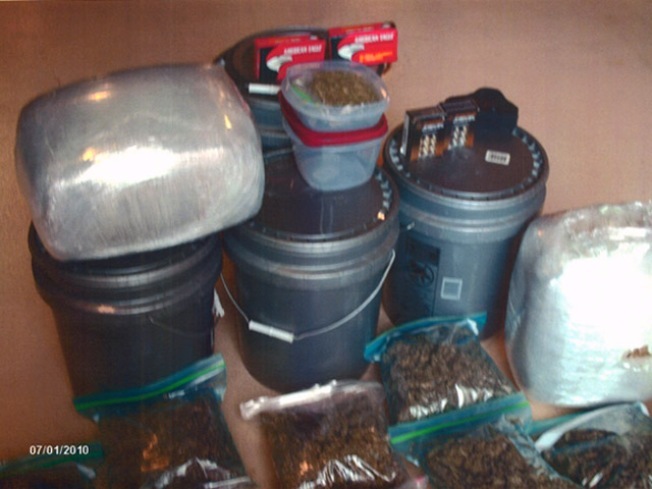 Inside the home, police found more than 52 pounds of marijuana packaged to sell, police said. Police arrested a husband and wife, Hector, 36, and Sonia, 35, Lazu. The couple’s two children were home at the time of the bust and police said the marijuana was found around their toys and in a pool shed. The couple was charged with illegal possession, illegal sale or distribution near a school, illegal distribution to manufacture, possession of drug paraphernalia and two counts of risk of injury. Bond set at $500,000. They will appear in court on Friday.